I have been using the Barcode Label Software. 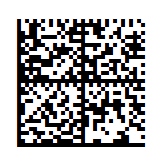 When I scan the barcode using Free Barcode Scanner ASCII String Decoder (with an SC7-USB), it does not reveal any ASCII commands. Can anyone please help me find what the commands are within this barcode? Note: <HT> is the representation of Horizontal Tab (also known as Tab).